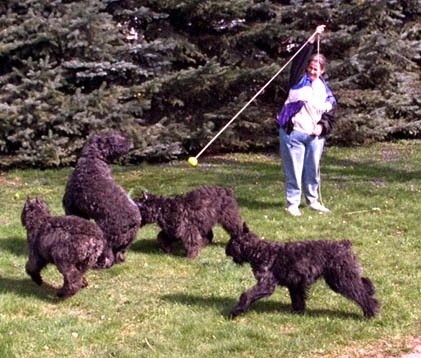 Here are some pictures of the Echo Bouviers and 3 of the puppies that we kept from the first litter. This is just before they turned One Year old. 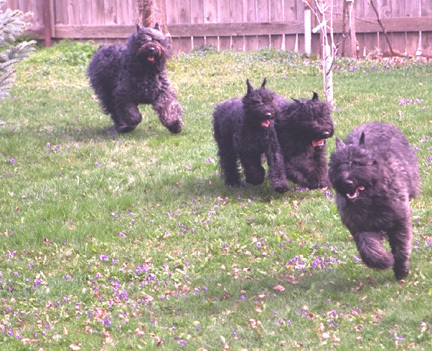 Here are Rose (lead), Dusty (left) and Caprice (right) with Chevelle hot on their heels. 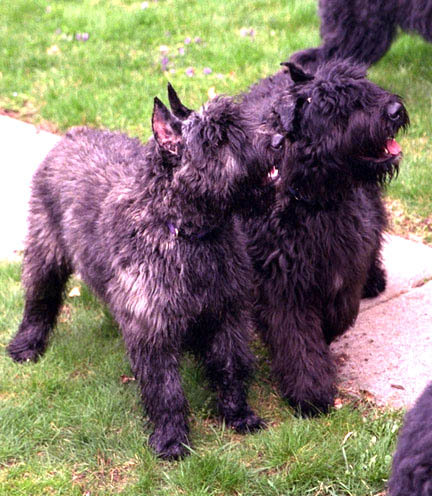 While Chevelle is usually a little more sedate, you will almost always find the pups at a full gallop heading to or from somewhere... usually trouble. 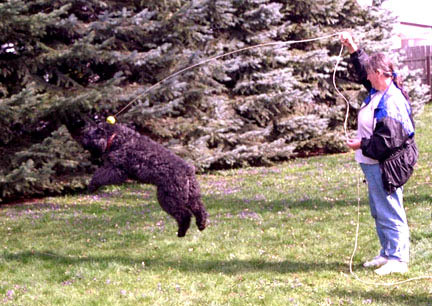 This is one of Sam's (the big dog) and the puppies favorite games, "Ball on a String". As long as Sue can keep it spinning, they will try to catch it. Here are Rose (l) and Caprice (r) trying to convince Sue that it's dinner time. 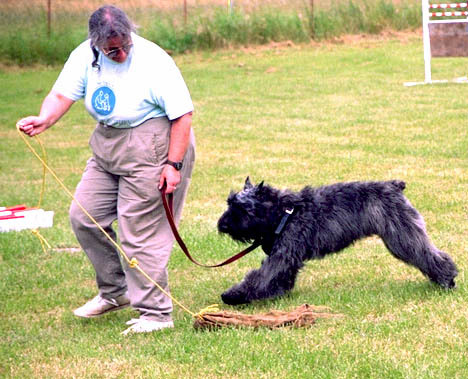 Here is Rose getting to show how tough she can be at the Pacific Gateway Working Bouvier Club Trials in Santa Rosa, CA.